We buy two large pre-made pizza dough balls from the pizza shop, but today I am going to share this recipe for a smaller family (we have six people in our family, so we double the recipe). One to Two pounds of cherry tomatoes (as much as you want). We also use Roma Tomatoes (my husband and I like Roma Tomatoes the best). Whatever you have will work. 1. First roll out your dough (after separating each for each person). Season with salt, pepper & a little garlic powder (just sprinkle some on). We always cook the dough first, once we put those few ingredients on top. Cook it for about 5 minutes to get it going. 5- In the meantime, cook your tomatoes, too. If you use cherry tomatoes, cook them until the skin splits. If you use roma tomatoes, just cook them for about 5-8 minutes until they are soft. 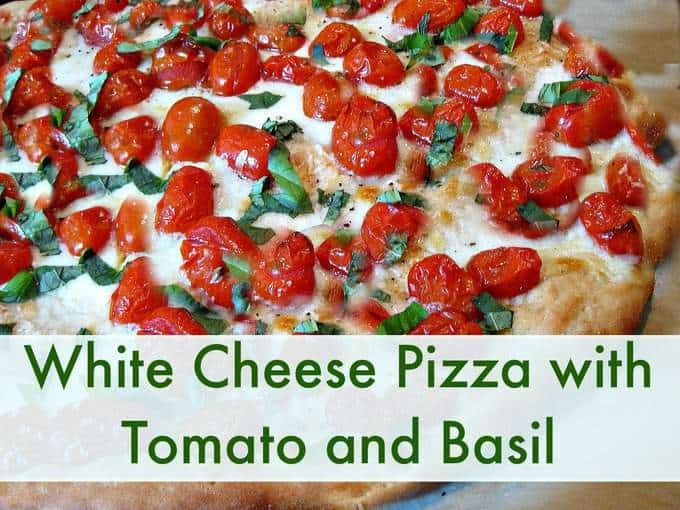 Add your mozzarella cheese, tomatoes, and Parmesan cheese. 7- Cook for about 10 minutes (we use a pizza stone. If you are using a baking sheet, you might need to cook it a little longer). I lift the dough with a spatula to check how cooked the dough is in the middle. Once it is done, it is ready. TIP: remember that if the edges are burning, put foil around the edges to prevent this. 8- Add your basil &/or Cilantro AFTER you cook it. You do not want to cook this or it will just burn. That’s it! It is my favorite recipe. I hope that you love it, too. This is really a great savings!! Stock up & sawhile you can! 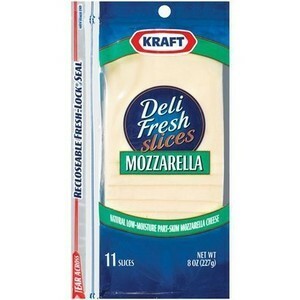 Visit your local Target to take advantage of the Weekly Wow promotion featuring Kraft Cheese products! From 9/14 through 9/20, buy any 5 Kraft Cheese products for $10.